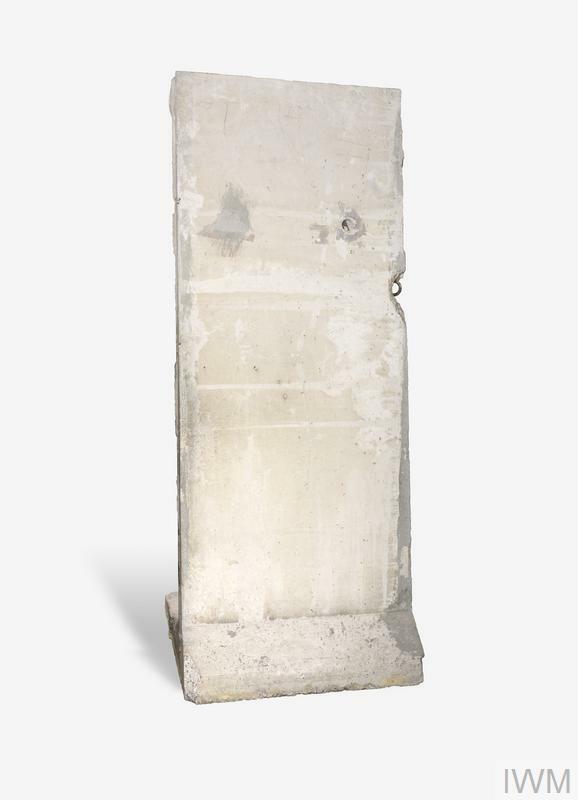 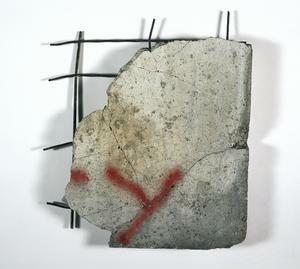 Section of concrete with metal reinforcing frame; the remnant bears traces of red spray-paint graffiti. 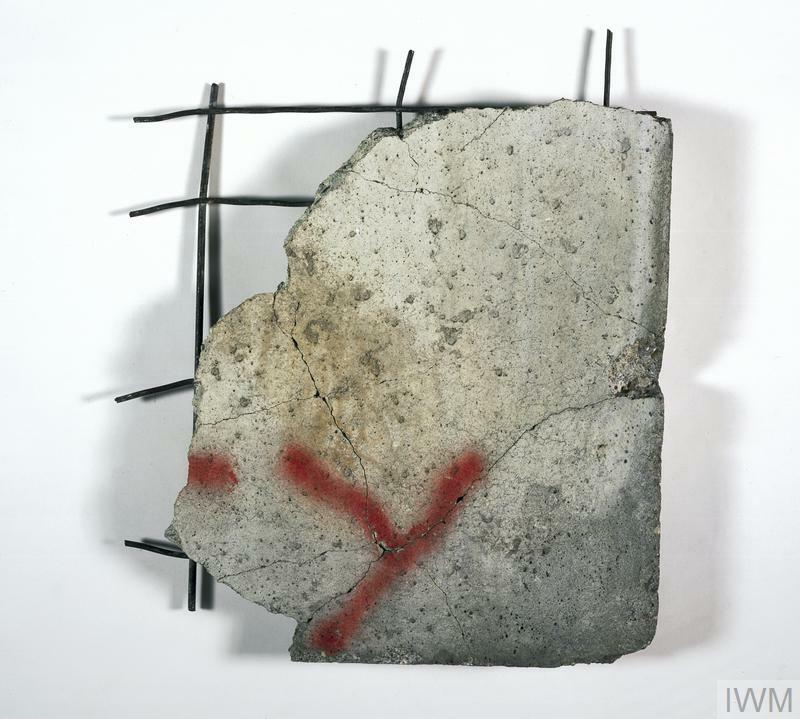 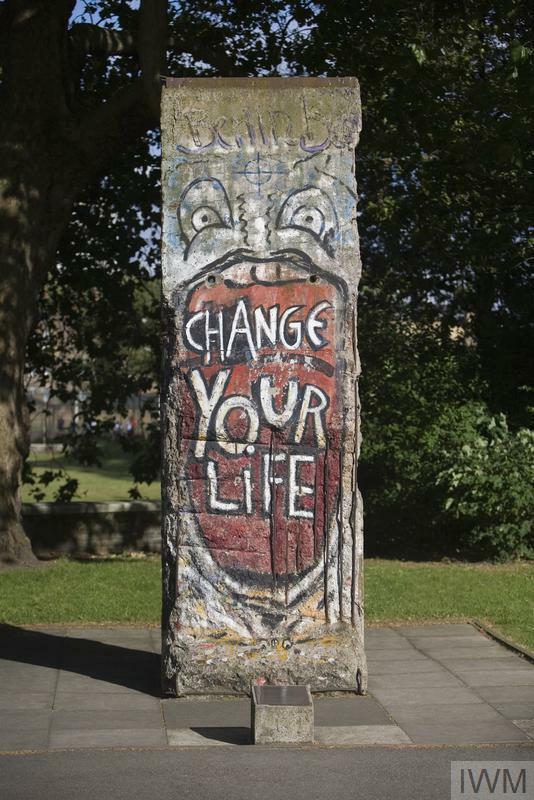 Small section of the Berlin Wall acquired by the British Military Forces Berlin following the Wall's 'opening' by the East German government on 9-10 November 1989. 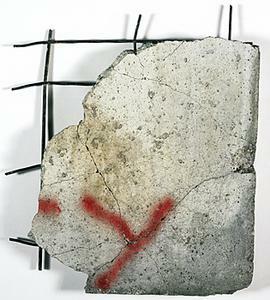 By the end of 1990 much of the wall had been demolished.